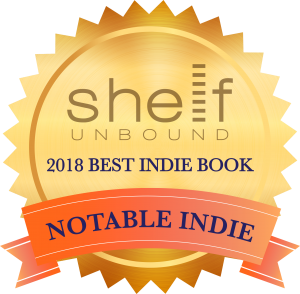 John Eric Vining’s book “Cable of Fate: The Zimmermann Affair and The Great Southwestern War of 1917” was honored as a 2018 “Notable 100 Book” in the “Shelf Unbound Best Indie Book Competition.” The winners/notables were officially announced in the April/May issue of Shelf Unbound magazine, which was published in the first week of April, 2018. The award was announced by Margaret Brown, National Book Critics Circle Lifetime Member and Publisher, Shelf Media Group. Shelf Unbound book review magazine reaches more than 125,000 readers in the United States and 75 countries around the globe. It is a recipient of the Association of Independent Authors’ Honoring Excellence Award.